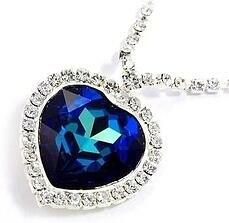 One such stone is the truly magnificent Heart of Eternity. Discovered during the 1990s, this stone originated from one of the world’s elite mines, the Premier Diamond Mine of South Africa (Buyimai district). Throughout its history, this mine has produced over 750 stones that weigh more than 100 carats including the Cullinan Diamond, which is known as the largest rough diamond ever unearthed. 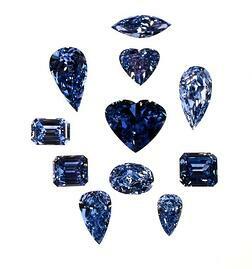 It should also be mentioned that the Premier Diamond Mine remains the biggest source of blue diamonds in the world to date. Having said that however, blue stones are still exceptionally rare, consisting only 0.1% of all diamonds produced by this mine. The Heart of Eternity was initially part of a massive 777 carat rough that was purchased by the De Beers Group for an undisclosed price during an open market in Zaire (now, Democratic Republic of the Congo). Cutting was assigned to the Steinmetz Group, and after five months of careful planning and studying, the two groups agreed to cut the rough into three smaller pieces. The process however was no easy feat, as it would take almost 3 years of careful and very precise movements to transform the once massive stone. 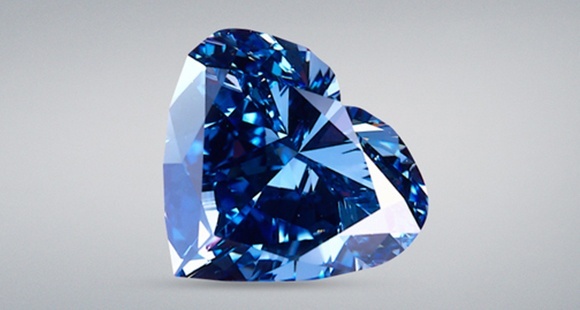 The Heart of Eternity is a truly magnificent 27.64 carat, heart cut, Fancy Vivid Blue diamond. The stone was graded with a VS2 clarity by the GIA, meaning that a 10x magnification would be needed to spot any inclusions otherwise invisible to the naked eye. 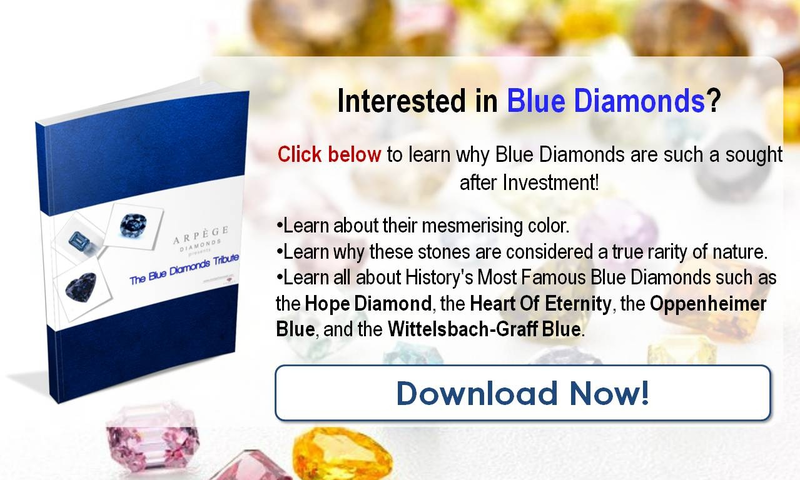 Its size and breathtaking beauty have not only given it a place among the largest blue diamonds in the world, but also among the most beautiful; a list that includes the Hope Blue Diamond, The Wittelsbach-Graff, and The Blue Empress. Because of its breathtaking beauty and striking presence, the stone ultimately became part of the Millennium Diamond Collection. Consisting of 11 extremely rare blue diamonds, this collection was revealed to the world by the De Beers Group in January of 2000 in order to honor the beginning of a new millennium. The De Beers Millennium Diamond Collection was certainly one of the world's most exclusive and rarest assortment of precious stones, and its completion took several years. Finally, London’s Millennium Dome was ideal for the collection’s showcase, undoubtedly drawing in millions of spectators. Unfortunately, the diamond’s true value is currently unknown. 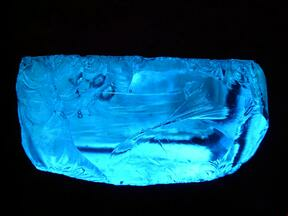 There have however, been estimates that the stone is worth well over $16 million (without calculating inflation). While this is a respectable price we feel that it is a very modest one. As we saw in Part 1 of our Tribute to Blue Diamonds, stones belonging to this color category have repeatedly been breaking records in auctions with higher quality gems breaking the $1million/carat mark. Judging by its truly remarkable characteristics and taking the above ratio into account, we can conclude that the Heart of Eternity can reach a stunning $28million if it were to be sold today. The Heart of Eternity was last seen in 2003 where it was put for public display at the Natural History Museum of the Smithsonian Institution. There it was exhibited alongside 8 of the world’s most famous diamonds including the part of the Moussaieff Red, in the museum’s renown “Splendor of Diamonds” collection. While the stones current whereabouts are unknown, there have been rumors of it being bought by Floyd Mayweather back in 2012. It is said that the famous boxer had bought the diamond necklace for his then fiancée, Shantel Jackson. Unfortunately however, De Beers has not officially disclosed to whom they sold the Heart of Eternity Diamond to (or the price it was sold for). Regardless of its current owner and location, the legend of this diamond will live on as one of the most beautiful, naturally colored, fancy blue stones ever to be found.